Average Miltek system runs about $999. The Borla and the Magnaflow systems are quite loud in my opinion. Borla has always been known for using less packing in the muffler and it gets louder and louder. The Miltek is one of the best systems I've seen. The Scorpion that Bav Auto sells is also pretty nice for the price. The Remus can be found at a heavily discounted price once you find the right site etc. Remus systems are generally quieter and more conservative in terms of flow and performance gains. I've had their systems on past MBZ and BMWs. I'm currently running the Invidia system, which I found on ebay for about $550 shipped. It has a really cool looking titanium tips and the sound is pretty deep. You can find clips of all these systems on YouTube. I'm leaning more toward the Invidia right now after hearing bad things about the Alta. I like the look of it and the Borla. It would probably be between those two. I have not looked at the Remus yet or maybe I forgot. Do you like your Invidia? I have a little older model. Not sure what the difference is between the '05 and the '06. So I had an 86 Camaro with a 350 in it, and added a Magnaflow, but the car was already such a beast that I didn't notice a huge gain. Better sound though, richer. Does anyone have an idea of the Actual (average) HP gain on the Mini S by adding an exaust system. Despite price, I'm sure they are all comparable with anything over $6-700. Any thoughts??? I want to make sure it's worth it. I did a quick search for you and alta performance seemed to have their stuff together. Id give them a call and see what they say. I was looking at the Invidia. Now I'm thinking Milltek. New release from CNT Racing for the R56 turbo looks like CNT Racing finally made their first exhaust for the Mini and looks like a great deal. 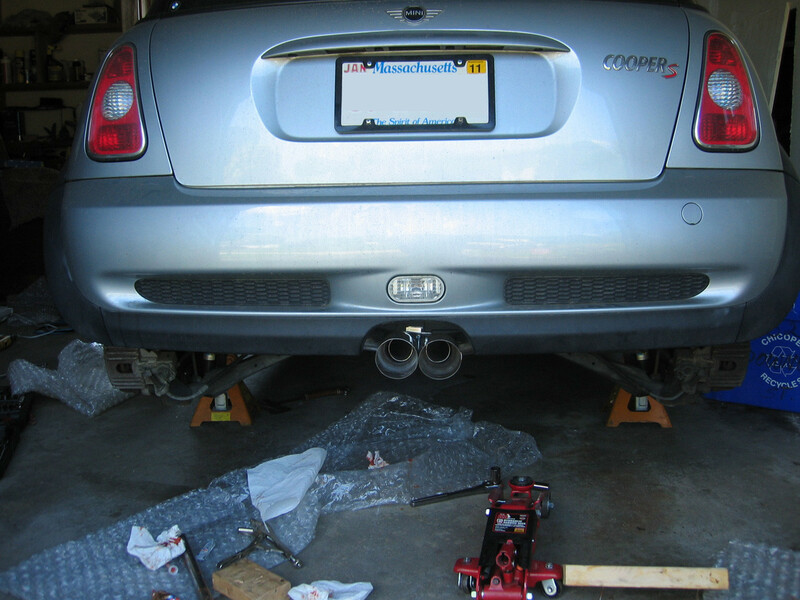 The new CNT Racing cat-back exhaust system for the R56 MINI Cooper S is one of the highest quality and best sounding exhausts on the market for the R56. 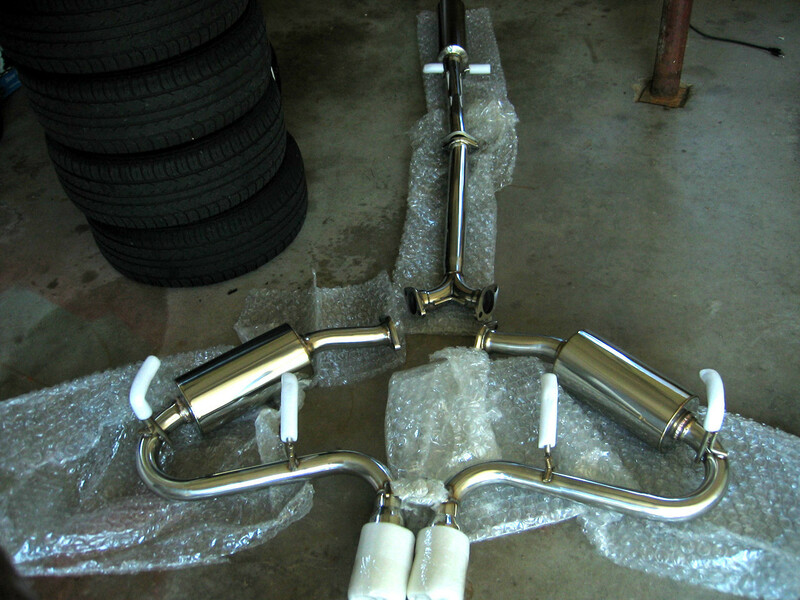 It features dual tips and 2.5" piping to guarantee free exhaust flow through your turbo Mini. It's designed to bolt up to the stock downpipe and eliminates the second cat. All necessary hardware and gaskets are included. Last edited by andyk30; 08-25-2011 at 06:49 PM.